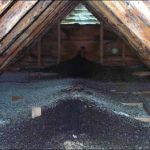 Home / Modern Pest Blog / Noises in the Attic – Are There Critters Living Up There? 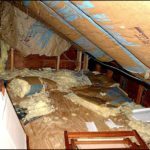 Noises in the Attic – Are There Critters Living Up There? If you are hearing scurrying, crawling and gnawing in your attic and walls, you are right to be concerned! You probably have a wildlife issue on your hands. Animals are always on the lookout for a nice cozy place, like your home, to settle down and make their own. 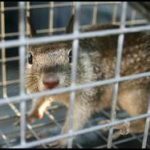 Critters like squirrels, raccoons, bats and birds will often enter your home in search of food, water or shelter and once they get in, they’re difficult to get out! 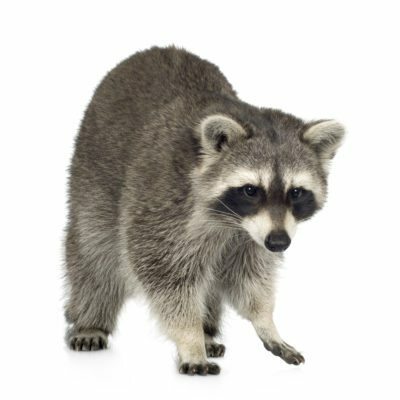 While these critters may be pretty darn cute, it’s definitely not so cute when they ruin your property and spread serious disease when left unchecked. And let’s not forget all that racket in the attic! RELATED: What’s That Racket in My Attic? What’s up there? When wildlife moves into your home they will urinate and defecate throughout their new territory. They may chew through electrical wires, tear up insulation or other building materials and even build nests inside your walls… leaving you with costly repairs. As if the cost of repairing your home from a wildlife invasion is not frightening enough, wildlife in your home may threaten the health and safety of your family as well. Urination and defecation in your home clearly do not make for a healthy environment, furthermore, critters may also carry in parasites like mites, fleas, and ticks. Just as concerning are the possible diseases that wildlife may carry and spread, such as Baylisascaris, Hantavirus, Histoplasmosis, Cryptococcosis, Salmonella, and Rabies. We can all agree that it is probably time for these critters to find a new home. Wildlife removal is not a “do it yourself” type of job. Attempting to remove animals on your own could cause costly damage to your home and result in injury. A wildlife professional will do much more than just trap animals. If not handled properly, wildlife issues can escalate quickly and become very difficult to manage. Contact our Modern Wildlife team, who is ready to come to your rescue! 1-888-997-3312.